Each Dan Bau comes in a professional hard black case with red felt inside. Size: 41" long x 5" wide Well made with high quality and professional standard. 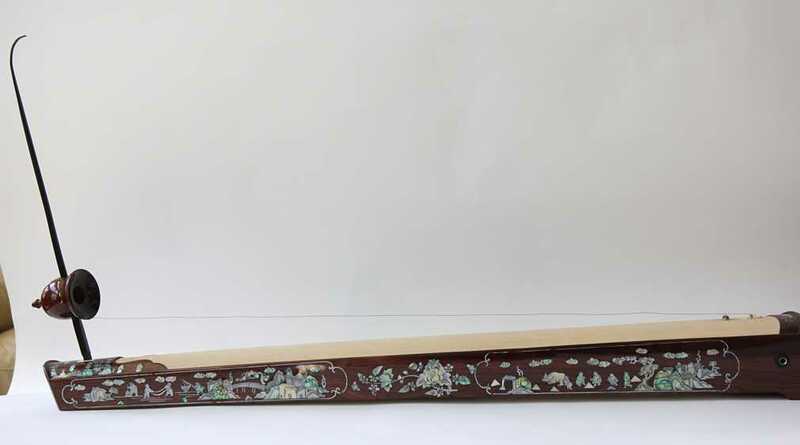 Dan Bau, monocord instrument, an instrument which made the typical vietnamese traditional music. The sound is very poetic, very vietnamese! This instrument is professionally made for the best of sound quality. The instrument is tested professionally by the well known instrument maker Nguyen Chi Tinh, living in Hanoi, Vietnam. Comes with a hard case. 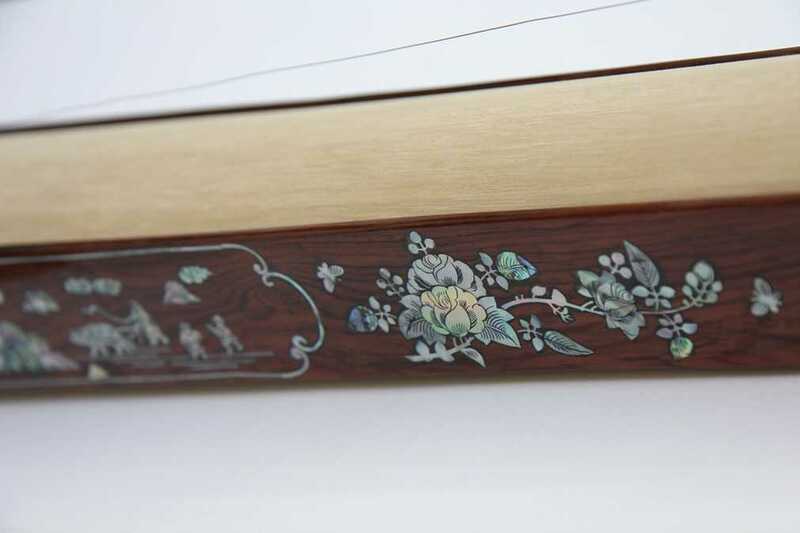 Both sides are inlaid.